The Apline Inn roadhouse in Portola Valley. Built in 1852, the roadhouse was the site from which the first message was sent across two networks using the “TCP” networking protocol. 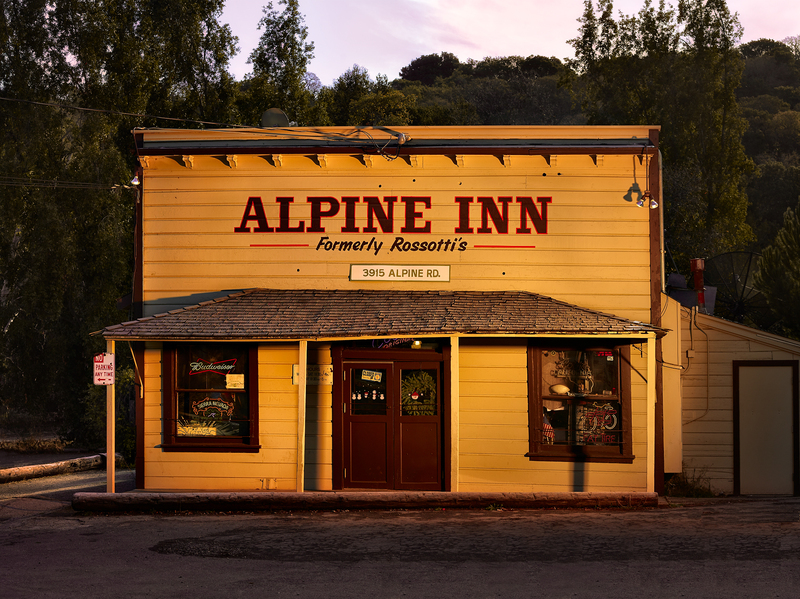 Built in 1852, the Alpine Inn has long been a popular drinking establishment for locals and Stanford students (especially during the dry campus years). However, it’s the recent years that have made this unassuming roadhouse into one of Silicon Valley’s top technology pilgrimage sites. In 1978, researchers from SRI’s mobile radio laboratory chose the Alpine Inn as the site from which they would transmit the first message (an e-mail of sorts) across two networks using the now popular “TCP” networking protocol. The mobile radio lab (a van) and terminal used to send the first e-mail are now housed at the Computer History Museum in Mountain View, however a plaque commemorating the event can be found at the Inn.